This Wednesday will be the last day we will be open at the farm store for the year. We will have fresh blueberries and blackberries, and frozen Ruby boysenberries at the store. Gallon bags of blueberries will still be available, too, if you are planning to stock up for the year ahead. Monday and Tuesday, we will be open our regular hours, 9:00-6:00. Berries can be reserved for those days by calling the store. Wednesday, we will be open from 9:00 until we sell out. Sorry, no berries can be reserved for Wednesday. Please come early that day if possible, because we sometimes sell out early on our last day. We will not be at the Kaiser Hospital Market this week. 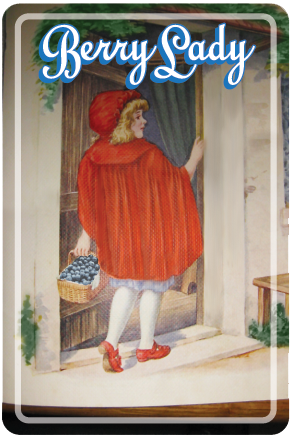 We wish to thank all of you for making it another “berry good” year at the farm and farmers markets! We loved visiting with you and sharing the fruits of our harvest. This code is good for $2.00 off a flat or bag of berries.